In an interview with SIBA’s Lady Banks’ Commonplace Book newsletter, author Frye Gaillard talks about the craft of historical novelist. 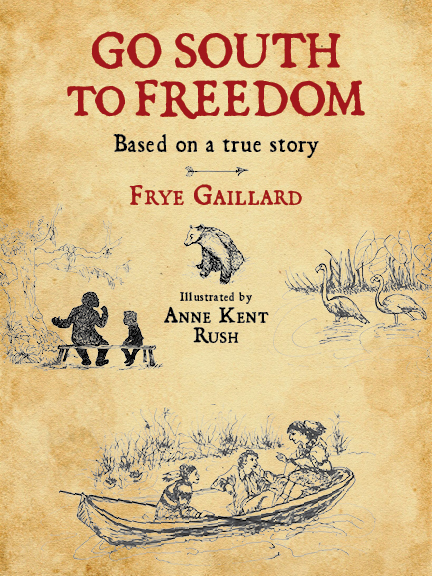 Gaillard’s new book for young readers, Go South to Freedom, relates an “as told to” slavery story, shared with him by an elderly neighbor. The award-winning journalist and prolific author told Lady Banks that journalism always involves “writing somebody else’s story” and requires treating the material with care and respect. He describes the additional research into historical events and the people mentioned in the tale that he did in preparing to write Go South to Freedom. The research helped educate him about the so-called “Black Seminoles” and about the community of free blacks that lived in Mobile, Alabama many years before the Civil War. In the end, as he told Lady Banks, the most important aspect of a true story is to keep it alive. You are currently browsing the NewSouth Books weblog archives for November, 2016.